The official City Flag for the City of South Bend, Indiana, was adopted by city council on April 25, 2016. The flag has a six- pointed star on a white field, a yellow field opposite it, and two (2) blue S-shaped lines with a white stripe in between. 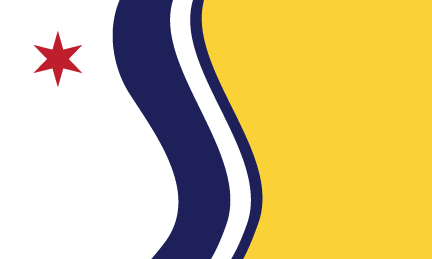 The previous South Bend City Flag dated back to the City of South Bend’s Centennial Celebrations in 1965. That flag depicts a reproduction of the City Seal on a yellow background. On November 9, 2015, the South Bend Common Council adopted Resolution 4509-15. That Resolution encouraged public participation in the City of South Bend Flag Design Contest and set forth governing rules and regulations regarding the process for formal approval of a new City Flag. The general flag submission instructions were developed which included color suggestions, themes to reflect upon, and a requirement that all proposed designs adhere to the North American Vexillological Association’s five basic principles of flag design. The City Flag Contest was the culminating event of South Bend 150 celebrations marking the City’s sesquicentennial. 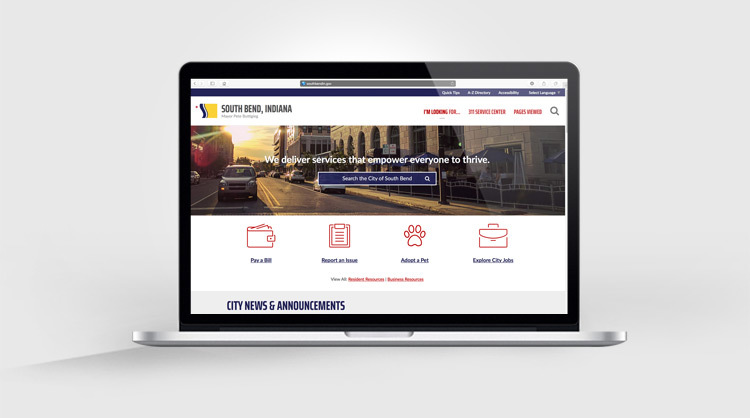 The new design is a unifying and recognizable symbol of the city that captures the spirit of South Bend’s past, present and future. Over 200 flag designs were submitted for consideration. A flag design committee consisting of professional designers, marketing professionals, a vexillologist, city officials, and SB150 representatives narrowed down all entries to three (3) designs. The finalist designs were submitted by South Bend residents Garrett Gingerich and Jeffrey Koenig, and Jesse Villagrana, an IU South Bend student. The designs were displayed as part of the First Friday festivities in December 2015 and on the South Bend 150 website, sb150.com, which resulted in over 1,000 comments being received. The feedback was compiled and evaluated. 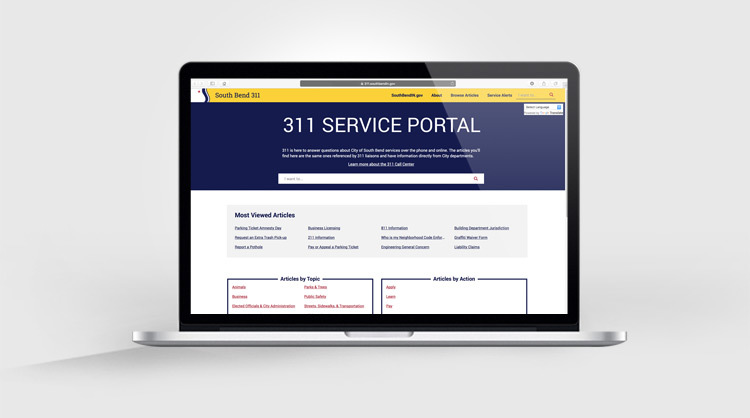 The committee commissioned Garrett Gingerich to produce a final design which incorporated the public input and integrated elements of the three (3) final designs. 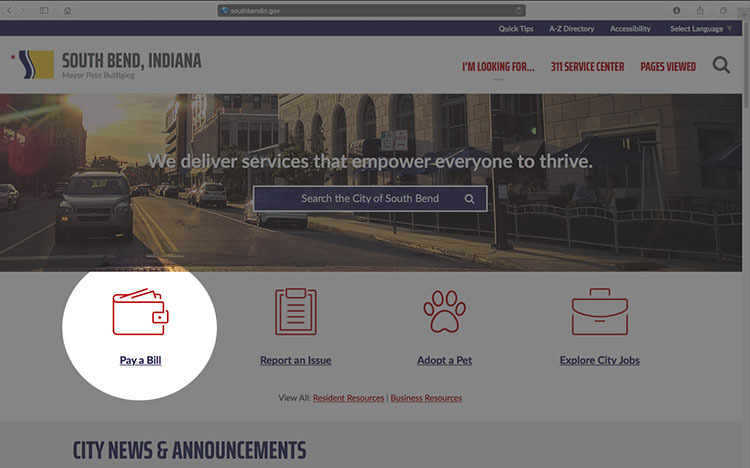 The final design was donated, free of charge, to the City of South Bend and will be available without charge for the community’s open-source use. The point of honor is the “canton” area—the upper–left corner. This corresponds to the part of the flag that is seen when it hangs limp from a flagpole. The center is the most visible spot for a symbol when the flag is flying. This is where our two most powerful symbols reside: the red six-pointed star and the curved “river” lines. Various shades of the four colors in the flag can be seen in countless logos throughout the city, region, and state. This area has previously had an identity affiliated with reds, blues, and yellows. The colors red, white, & blue collectively represent national patriotism, while the blue and yellow colors combined nod to the Indiana State flag. Stars are the most common symbols used in flags. They are representative of hopes and dreams, things worth striving for. Red symbolizes passion. South Bend has always been made up of people who are entrepreneurial in spirit, strive for improvement, and work hard to overcome obstacles. The star is positioned on a white field. White is a color that symbolizes peace. The City of South Bend seal predominately displays the word “Peace”; a word that would have been especially meaningful when South Bend was incorporated in 1865, right at the end of the US Civil War. The wavy blue lines are symbolic of the St. Joseph River which is at the heart of South Bend. From travel ways for the Native Americans and trade routes for the European settlers, to power for the industrial boom, the source of economic development, and recreational delight; the river is our city’s namesake and has been an integral part of our history. 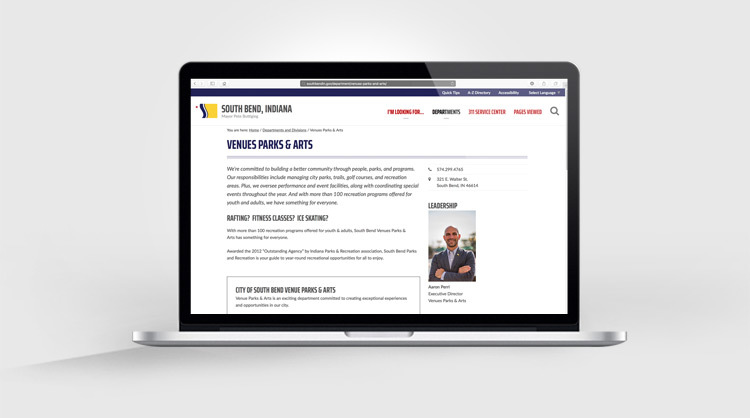 The thin white stripe between the blue lines serves as a bridge to the future and is associated with stability, confidence, and innovation—characteristics intended to keep South Bend’s pioneering spirit alive. Yellow is a color of friendship and was the primary field of South Bend’s original flag design. This is carried over in a prominent fashion to underscore the city’s accepting spirit. 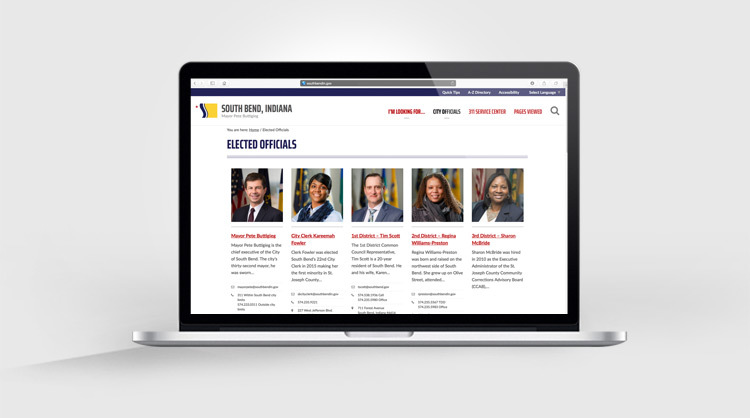 Throughout the course of history, today, and well into the future… regardless of your background, beliefs, culture, or race, South Bend is a welcoming place for you. The City Flag shall be displayed on city property with honor and shall be flown with dignity and respect. The City Flag may be displayed in municipal offices and on city property, carried in parades and displayed at other occasions and locations. 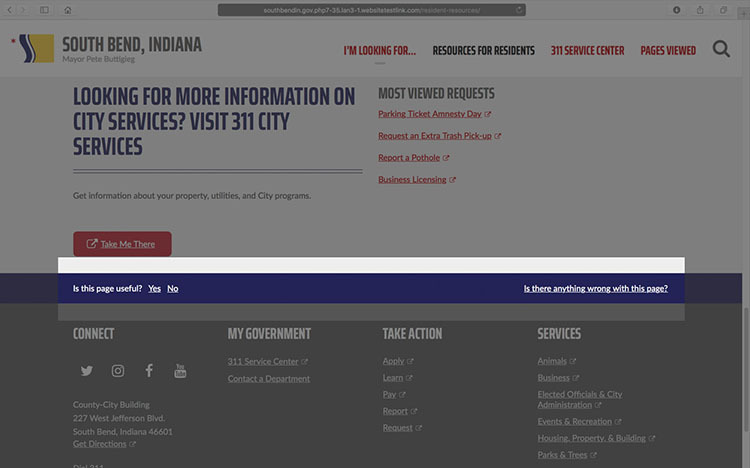 The Mayor or his designee is authorized to order the raising or lowering to a half-mast position of city flags at properties and facilities owned or operated by the City of South Bend, or on the grounds of the County-City Building. When a City Flag is no longer a fitting emblem for display and becomes unserviceable or when it becomes faded or torn, it should be retired from further service with respect. In the interest of fostering deep civic pride, the colors, design and theme of the City Flag of South Bend may be creatively and enthusiastically promoted as an open-source design to be embraced throughout our City. 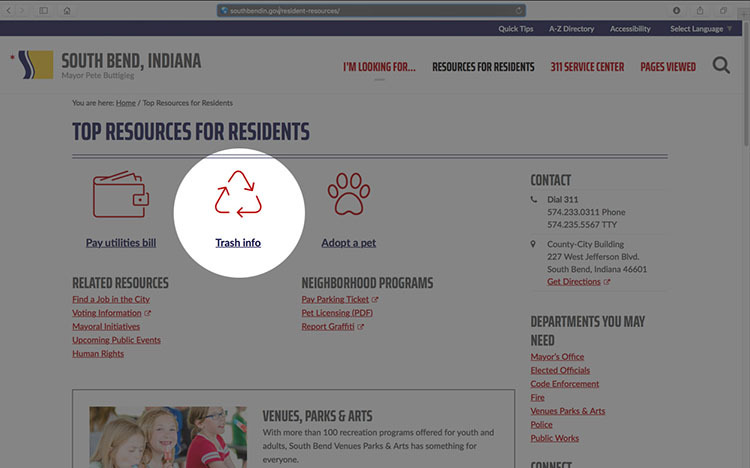 The Municipal Code of the City of South Bend, Indiana, Sec. 1-5.1. – City Flag. South Bend, Indiana, Code of Ordinances, 2016, Ordinance No. 10418-16.